Make your technology work for you. 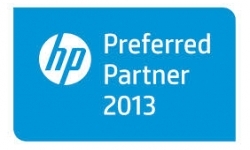 Let HP and Integration Solutions show you how. HP has a long history of technology leadership, and of developing intuitive products that are easy to use and manage. As the world’s largest technology company, HP brings together a portfolio that spans printing, personal computing, software, services and IT infrastructure at the convergence of the cloud and connectivity. 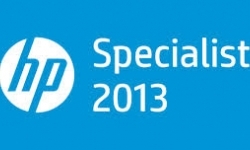 HP can help you create seamless, secure, context-aware experiences for a connected world. Discover powerful and affordable laptops, tablets, desktops and all-in-one PCs with innovative features like touchscreens, plus workstations, monitors, storage solutions and more. Find energy-efficient printing and imaging solutions for offices, homes, graphics markets and more with cutting-edge features and technologies, as well as unmatched quality and reliability. Learn how HP can help you consolidate your servers to reduce costs, energy consumption and sprawl – while responding faster to changing business requirements. See how you can manage, protect and grow your business with HP storage solutions – whether you need simple data backup or to protect enterprise-wide, mission-critical applications. Explore HP’s full range of standards-based, integrated solutions and enterprise-class services designed to simplify networks, deliver services more flexibly and contain costs. Find services for the cloud, security, and information and analytics that can optimize your technology investments and operations to increase system availability and reduce service disruptions.